How cold is it in Canada right now? Too cold for even penguins, apparently. The frigid temperatures in Alberta this weekend forced keepers at the Calgary Zoo to bring their resident king penguins inside on multiple occasions. Zoo curator Dr. Malu Celli told CTV News on Sunday that the move was taken out of an abundance of caution. 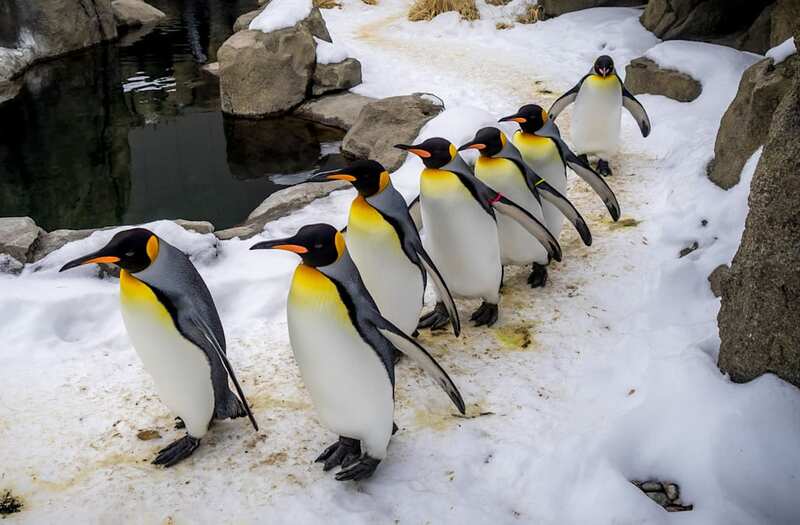 According to Dr. Celli, if temperatures drop below -25 C (-13 F), zoo protocol states that the penguins should be brought indoors as a safety measure. Considering temperatures in the area have averaged around -28 C (-18 F) in recent days, with the wind chill making it feel more like -40 C (-40 F), keepers were well within their right to move the flock of 51 birds. "We just don’t want to expose them to too much," Dr. Celli told CTV News. "To keep them safe, we decided to pick a limit to let them out." Although Dr. Celli believes the tuxedoed birds, who were built to withstand the frigid temperatures of the subantarctic region, would happily go outside if they were allowed, she said zookeepers are erring on the side of caution for a chick in the flock who is still maturing. "It's not necessarily that it’s too cold for them," she said. "I believe that physiologically, they can withstand colder weather than what we have here, but these are not wild birds." "It's kind of like you can bundle up your kid, but then there's a point you're going to say, 'I know you're good, but I'd rather you stay inside now,'" she added.